Jon McDowall, Managing Partner of Fraud Resource Group, provides Identity and Online Fraud Expert Witness, Investigation, Consulting, Litigation Support and risk mitigation training and has over 20 years of related experience. Board Certified Forensic Examiner and Fellow, American College of Forensic Examiners. 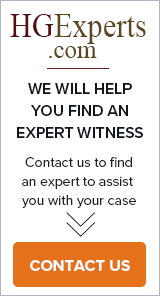 Over 500 cases, with deposition and trial experience since 1990. Bank operations; lender liability; code of conduct; board of directors; new account and check fraud.